Learn big boat handling in this multi-day ‘mini-charter’ course on the Puget Sound from Gig Harbor WA, and become certified as a Bareboat Charter Master. Prerequisite: Skipper, ASA103, or equivalent experience required. 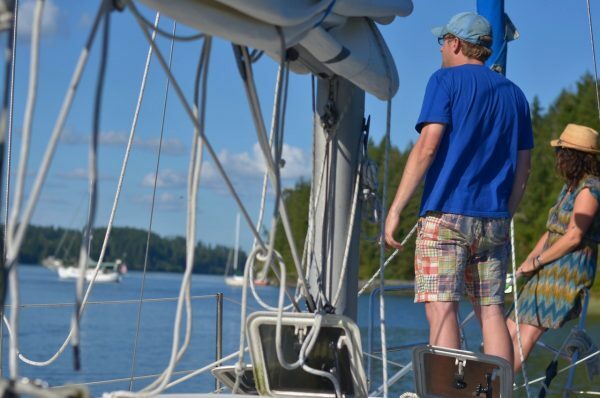 Sailing Gift Certificate: certificate recipients can redeem for the Bareboat Charter Master course. See conditions for more details, or contact us for more info. Learn Bareboat – sail big boats and charter in exotic locations with the Bareboat Charter Master Certification. The Bareboat course teaches you a complete understanding of vessel systems, trip planning, and large boat handling so you can fully enjoy your charter adventure. 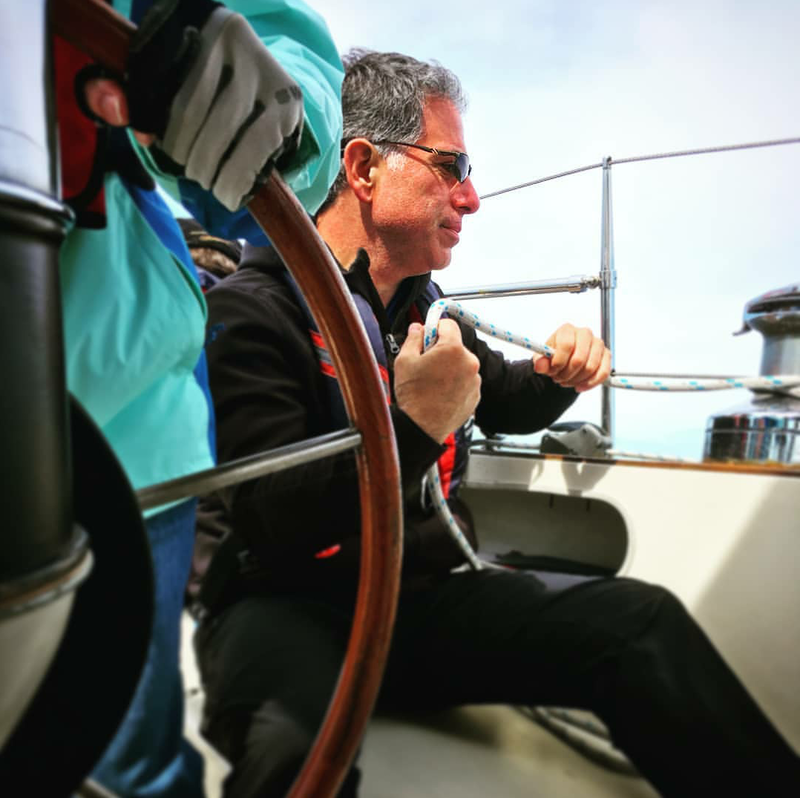 Skippering a large sailboat for multiple days requires a diverse range of knowledge and skills: you’re the Skipper, Navigator, Weatherman, Engineer, Cook, Plumber and all while responsible for the proper care, feeding and planning of your crew…. 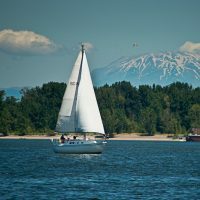 Gig Harbor offers an excellent Bareboat training ground – tricky tides/currents, multiple anchorages, and commercial traffic. Depending on the tides, the class may head North to Blake Island, or South to play in the Southern Puget Sound. Sail under the majestic views of Mt. Ranier, and celebrate a successful Bareboat at the local Tides Tavern. 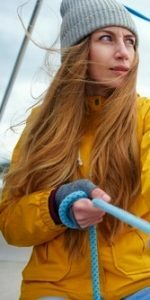 Online Clinics: Bareboat Charter Clinic, Coastal Navigation Clinic, Anchoring a Sailboat Clinic, Electronic Navigation Clinic, Basic Navigational Rules. The Bareboat Class is a mini-charter. After departing you’ll learn and practice everything you need to know to charter on your own – including big boat sailing and handling as well as systems, how to plan, prepare and cook for extended trips. By the end of the course, students will have the skills to Bareboat Charter sailboats over 27′ and across the world. On-water training and certification is the primary goal of our Cruise and Learn sail. For knowledge, we offer NauticEd’s online courses to prepare you with the most advanced and current online sailing education available. Start immediately, take your time with interactive content, and test online – this allows you to enjoy more fun sailing and practical instruction on your cruise! Bareboat Charter Master Certification requires you pass all the competency tests listed below. 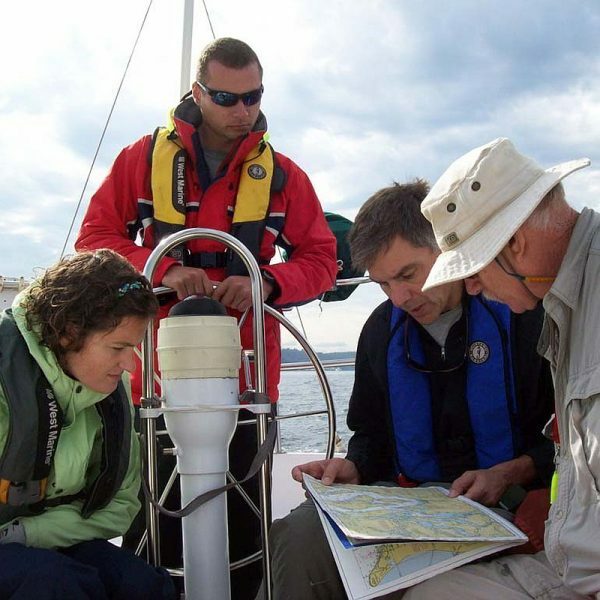 Knowledge includes completing the online courses Bareboat Chartering Clinic, Coastal Navigation Clinic, Anchoring Clinic, and Electronic Navigation; Practical competency in our 3 day on-the-water course, and 50 days sailing experience is required. Each step is recorded in your online resume, and once ALL the required steps are achieved – you’re certified. 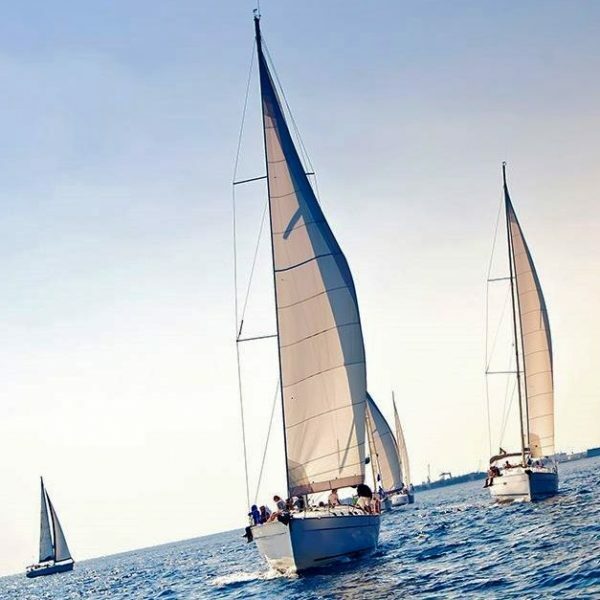 Our training and assessment complies with On-Water Recreational Boating Skills Standard – Sail, the American National Standard for on-water instruction in entry-level recreational sailboat operation.